Katie is a Member of the Executive in our accidents team. She provides advice on personal injury claims in many areas including accidents at work, tripping and slipping claims, criminal injury claims and injuries to children. 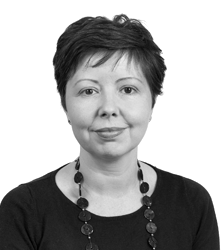 Katie has specific expertise in road traffic accident matters and in assisting the Principal in the department with severe brain injury matters. Katie is Member of the Association of Personal Injury Lawyers. Settled claim for a man who received serious head injuries in an assault at work by unknown assailant with a baseball bat. Claim persued through Criminal Injuries Compensation Authority. Significant award obtained. Settled a claim for a single mother who received a severe leg swelling injury which was undiagnosed following a cycling accident. Obtained diagnosis through claim and also secured treatment to alleviate the symptoms. Settled a claim for a young female child where a dog had bitten her cheek leaving her with a facial disfigurement. Settlement obtained so she could have cosmetic surgery. Settled a claim for a young girl who suffered head injuries following an accident at an outdoor centre.